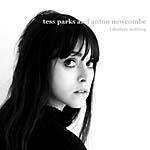 This is the second full-length album from Tess Parks & Anton Newcombe. The self-titled album contains 9 tracks. "Right On" is the only track that has been released before on the eponymous EP released earlier in 2018. All tracks were recorded at Cobra Studios, Berlin in 2017, the majority of the songs co-written by Tess & Anton. LP version on 180 gram clear vinyl. 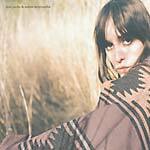 This is the second full-length album from Tess Parks & Anton Newcombe. The self-titled album contains 9 tracks. "Right On" is the only track that has been released before on the eponymous EP released earlier in 2018. All tracks were recorded at Cobra Studios, Berlin in 2017, the majority of the songs co-written by Tess & Anton. Right On EP, the third offering from Tess Parks and Anton Newcombe, contains four tracks. "Right On" is on the forthcoming Tess and Anton full-length LP, the three other tracks are exclusive to this EP. The track "Grunewald" was written in 2015 and proved such a success through the 2015 tour of the band , that they decided to record and release it. All tracks were recorded at Cobra Studios, Berlin in 2017. White vinyl; 180 gram vinyl. 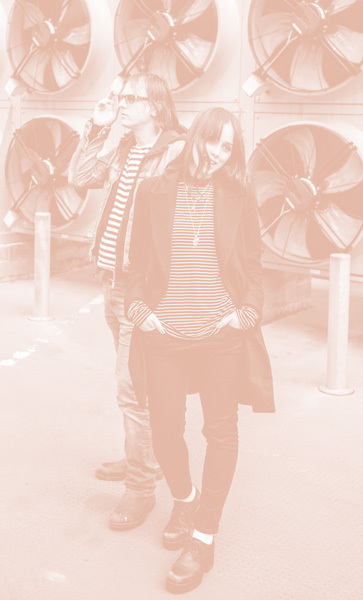 Born in Berlin in early 2014 and nurtured over the following summer, I Declare Nothing is the spine-tingling collaboration between Tess Parks and Anton Newcombe (The Brian Jonestown Massacre), co-written and co-played by the duo and released to coincide with their 2015 European tour, following their Record Store Day 2015 Cocaine Cat single (AUK 118EP). A native of Toronto, Tess Parks moved to London, England, at the age of 17, where she briefly studied photography before deciding to focus on music. Parks made an impression on industry legend Alan McGee, founder of Creation Records, though the timing of their meeting could hardly have been less ideal; McGee was no longer involved in music and Parks was due to move back to Toronto. After moving back to her hometown in 2012, Parks formed a band on the advice of McGee and less than a year after their meeting, he returned to music with his label 359 Music. Parks became one of his first signings and released her debut record, Blood Hot, in November 2013 to excellent reviews. One reviewer described her as "Patti Smith on Quaaludes." Others have mentioned her "gauzy psychedelic sound" and "smouldering voice." Alan McGee himself said, "She's only 24 and is already an amazing songwriter... she just doesn't quite know she is yet -- her most beautiful quality is her lack of ego. Tess is an amazing lady." Anton Newcombe is the leader of The Brian Jonestown Massacre, who returned in May 2014 with their 14th full-length album, Revelation (AUK 030CD/LP), to critical acclaim, and released Musique de film imaginé (AUK 032CD/LP) in 2015. The band's first album to be fully recorded and produced at Newcombe's recording studio in Berlin, it was supported by a successful European tour. Named in tribute to the legendary Rolling Stones guitarist and his influence in introducing Eastern culture and music into the world of Western rock 'n' roll, The Brian Jonestown Massacre formed in San Francisco, California in 1990. Through two dozen band members and numerous "ups and downs" (some of which have been famously sensationalized in the media), the one thing that has always remained consistent for this psychedelic collective is frontman Mr. Anton Alfred Newcombe. LP pressed on amber 180-gram vinyl. 2019 repress; LP version. Pressed on black 180-gram vinyl and housed in a gatefold sleeve. Born in Berlin in early 2014 and nurtured over the following summer, I Declare Nothing is the spine-tingling collaboration between Tess Parks and Anton Newcombe (The Brian Jonestown Massacre), co-written and co-played by the duo and released to coincide with their 2015 European tour, following their Record Store Day 2015 Cocaine Cat single (AUK 118EP). A native of Toronto, Tess Parks moved to London, England, at the age of 17, where she briefly studied photography before deciding to focus on music. Parks made an impression on industry legend Alan McGee, founder of Creation Records, though the timing of their meeting could hardly have been less ideal; McGee was no longer involved in music and Parks was due to move back to Toronto. After moving back to her hometown in 2012, Parks formed a band on the advice of McGee and less than a year after their meeting, he returned to music with his label 359 Music. Parks became one of his first signings and released her debut record, Blood Hot, in November 2013 to excellent reviews. One reviewer described her as "Patti Smith on Quaaludes." Others have mentioned her "gauzy psychedelic sound" and "smouldering voice." Alan McGee himself said, "She's only 24 and is already an amazing songwriter... she just doesn't quite know she is yet -- her most beautiful quality is her lack of ego. Tess is an amazing lady." Anton Newcombe is the leader of The Brian Jonestown Massacre, who returned in May 2014 with their 14th full-length album, Revelation (AUK 030CD/LP), to critical acclaim, and released Musique de film imaginé (AUK 032CD/LP) in 2015. The band's first album to be fully recorded and produced at Newcombe's recording studio in Berlin, it was supported by a successful European tour. Named in tribute to the legendary Rolling Stones guitarist and his influence in introducing Eastern culture and music into the world of Western rock 'n' roll, The Brian Jonestown Massacre formed in San Francisco, California in 1990. Through two dozen band members and numerous "ups and downs" (some of which have been famously sensationalized in the media), the one thing that has always remained consistent for this psychedelic collective is frontman Mr. Anton Alfred Newcombe. Restocked, originally an RSD 2015 release. Clear vinyl. 2000 numbered copies. A collaboration between Tess Parks and Anton Newcombe (The Brian Jonestown Massacre) recorded in Berlin in 2014. Parks was an early signing to Alan McGee's 359 Music, on which she released her acclaimed debut, Blood Hot, in 2013. One reviewer described her as "Patti Smith on Quaaludes"; others have mentioned her "gauzy psychedelic sound" and "smouldering voice." McGee himself calls her "an amazing songwriter... her most beautiful quality is her lack of ego. Tess is an amazing lady." Her full-length collaboration with Newcombe, I Declare Nothing, will be released in 2015.